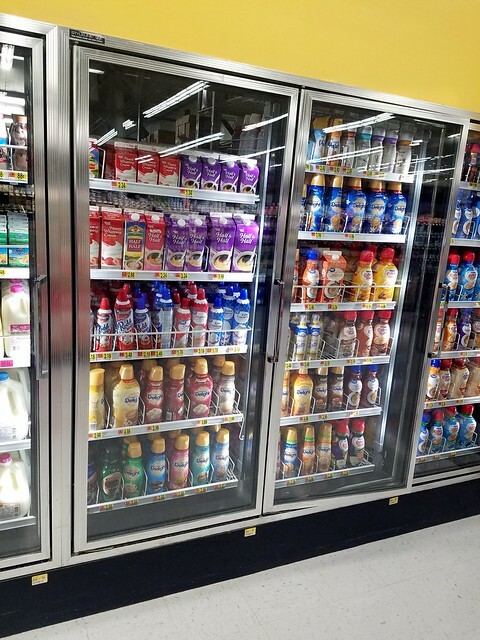 I ran into Walmart the other day immediately following one of our lake trips. It was the kind of day in Texas where even the top of your floatie burns you. 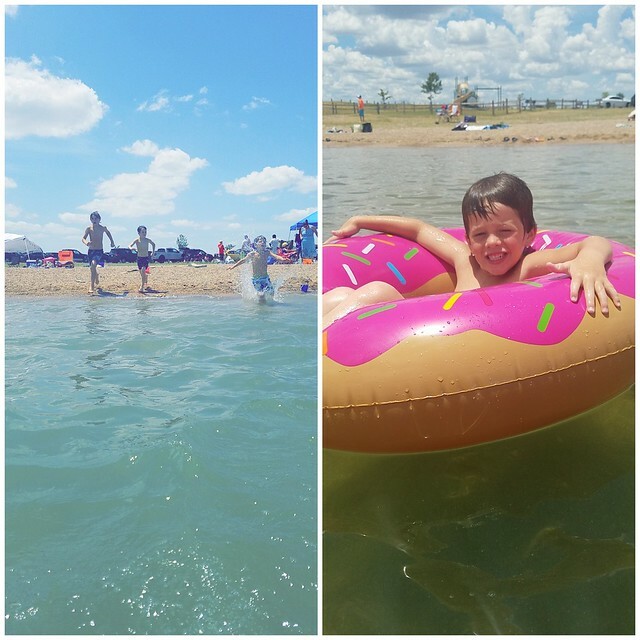 I mean, we still had a blast and spent way too long floating around the lake but yeah, it was hot. We definitely needed some frozen drinks to help us cool off. So I grabbed the International Delight® Cold Stone Creamery™ Sweet Cream, International Delight® Hershey’s® Chocolate Caramel, and Reddi-wip®. I use the International Delight® creamers every morning in my coffee – if you love sweet, creamy coffee, you will definitely love these. 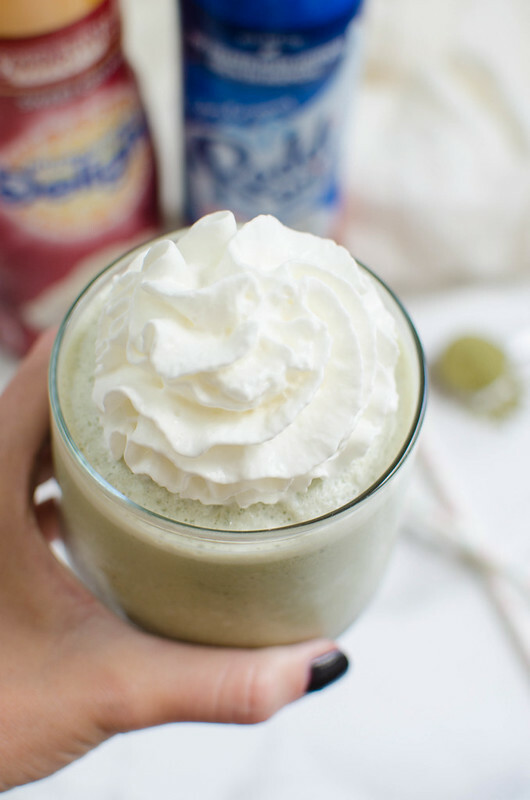 My favorite frozen drink is and will always be a Matcha Frappe. Have you tried one?! Matcha is a green tea powder and it is seriously delicious. If a coffee shop has anything matcha on the menu, that’s what I’m going for. Hot, cold, frozen, I don’t care. So for this, I used the matcha powder and then the International Delight® Cold Stone Creamery™ Sweet Cream and a tiny bit of milk. 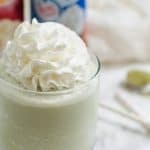 Blend that up with ice until it reaches the desired consistency and top with a dollop of Reddi-wip. 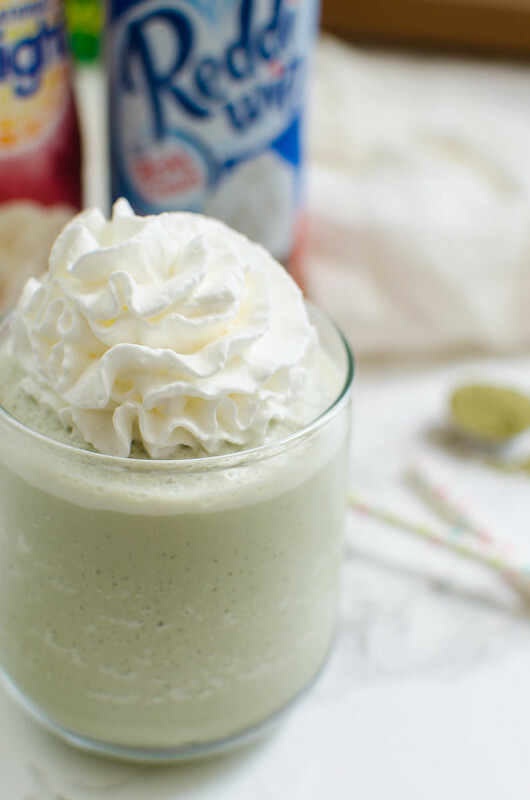 Matcha is unsweetened so typically when you use it to make a frappe, you need to add sugar or simple syrup but the great thing about using the International Delight® Cold Stone Creamery™ Sweet Cream is that it’s plenty sweet and perfect for this Matcha Frappe. And how beautiful is that Reddi-wip? Not only does it make gorgeous swirls on top of the frappe, but it’s also made from the milk of cows not treated with artificial hormone. It’s made with zero artificial flavors or sweeteners and real cream is the first ingredient. I use it for everything. 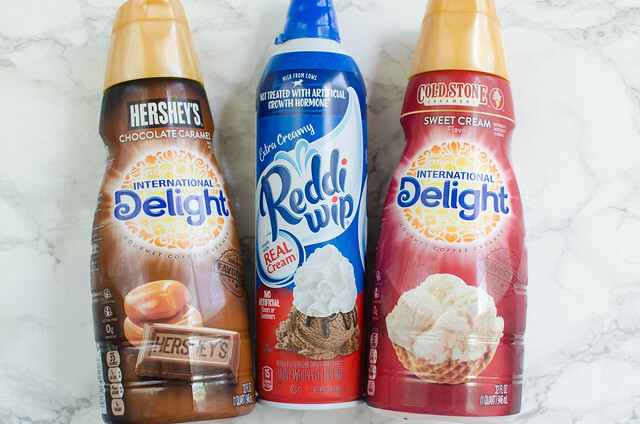 Coffee, on top of fruit pies in the summer, banana splits… Reddi-Wip is my go-to for everything. 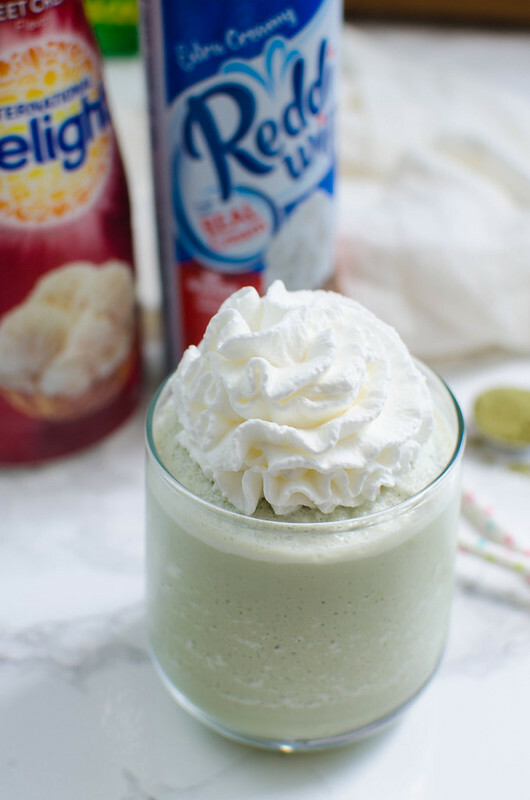 For tons of other frappe recipes feauturing International Delight® creamers, visit here! Place all ingredients in blender and blend until it reaches desired consistency. Top with Reddy Whip. Serve immediately. One Response to "Matcha Frappe"
the heat is exactly why we get to the beach at the crack of dawn (almost!). We are out of there after lunch, grab ice cream, and head home.